Results of the Mahindra XUV500 lucky draw announced! Alternatively, the applicants can also call the toll free number 1800-266-7000 to check whether they have won the lucky draw. Winning applicants will also be notified by their respective Mahindra dealers. Mahindra has selected 7,200 applicants and will deliver the XUV500 to them within a time span of four months. Applicants, who have not won the lucky draw, will get their booking amount (Rs. 80,000 refunded) by Mahindra. Mahindra launched the XUV500 in October last year. To everyone’s surprise, the XUV500 was aggressively priced starting from Rs. 10.80 lakh. The XUV500 was an instant hit and the company faced a huge backlog of bookings and this forced it to stop the bookings temporarily. 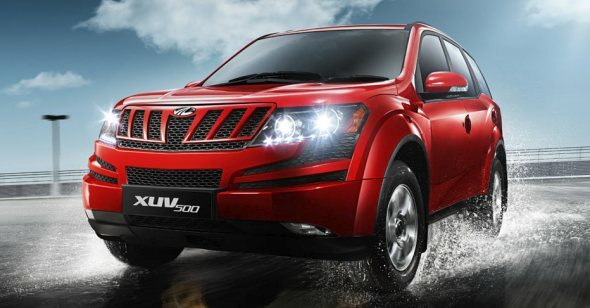 Mahindra reopened the bookings for the XUV500 on January 25th and there was overwhelming response among the buyers. The company registered more than 25,000 applications though only 7,200 units of XUV500 are allotted for them. Mahindra adopted the lucky draw by which the applicants were randomly picked based on their city/dealer. To ensure credibility, a third party firm, Deloitte Touche Tohmatsu India Private Limited (DTTIPL) validated the draw. Last month, Mahindra had hiked the prices of the XUV500. At present, the XUV500 is priced at Rs. 11.10 lakh for W6, Rs. 12.45 lakh for W8 FWD and 13.43 lakh for W8 AWD. Despite the price hike, the XUV500 still holds its ‘value for money’ proposition and gives its competition, a run for their money. The XUV500 takes on the Tata Aria, Force One and the upcoming Tata Safari Storme. *All prices are ex-showroom, Delhi. « New Toyota Altis automatic launched at Rs.13.76 lakh!